KAVI Institute of Clinical Research focuses on four themes coupled with attractive career paths that are attracting the best talent in Africa and serve the best interests of the general. Experience the power of Responsive Design, which does not only look good on all browsers ! 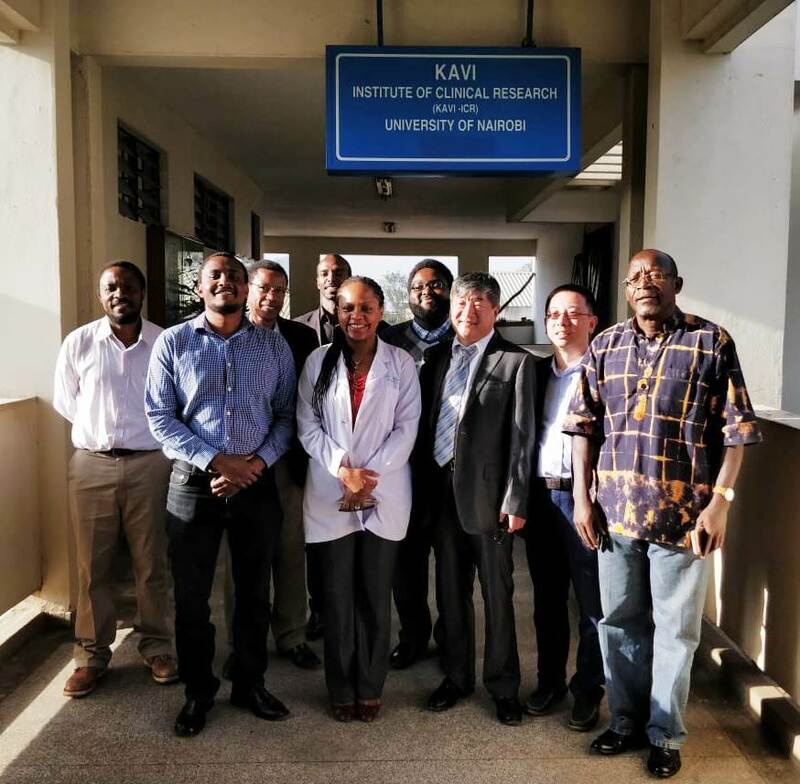 This meeting between KAVI-ICR and Cherami, presided over by Prof. Omu Anzala and Mr. Wei Xiolin, was to formally introduce Dr. Wei Liao, CEO and Founder of EzLife Bio Inc.
Also present in the meeting were KAVI-ICR members Dr. Marianne Mureithi, Dr. Kefa Bosire, Dr. Moses Masika, Mr. George Kaiyare and Mr. George Ichoho, Cherami members Tony Gichuru and Mark Xu. Dr. Liao, a well-known and respected scientist in both academia and industry, provided the collective group a presentation on EzLife Bio’s technology EFIRM and its potential applications in clinical and laboratory settings using a tissue, plasma and saliva samples. 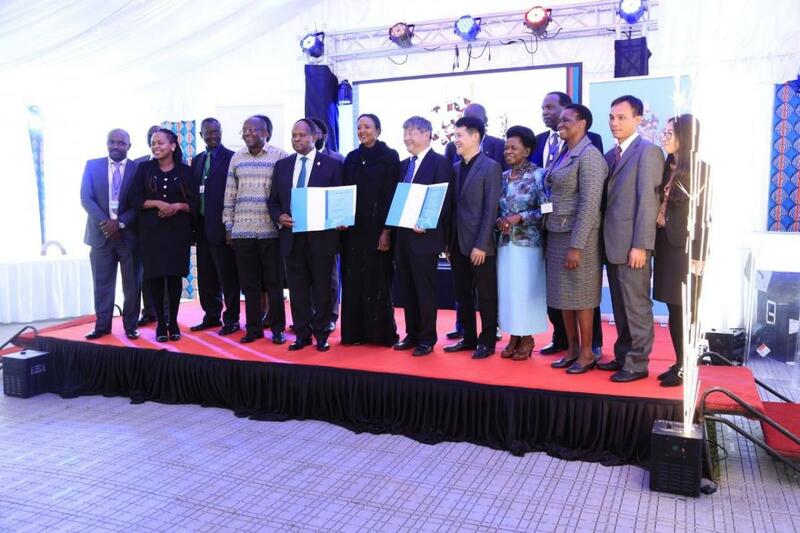 It was agreed that this technology would prove to be useful for the African continent and would initially be housed in the KAVI-ICR laboratory for validation and to explore its applications for non-communicable and infectious diseases currently affecting the region. Additionally, KAVI-ICR will provide a list of infectious diseases that EzLife Bio could create assays for and write up a proposal for the testing of circulating tumour DNA (ctDNA) in Lung Cancer. A Collaborators meeting held at KAVI-Institute of Clinical research (KAVI-ICR), University of Nairobi from 21st – 25th August 2018. KAVI-ICR in collaboration with USAID, North Western University USA, Human Immunology Laboratory – Imperial College London, International AIDS Vaccine Initiative (IAVI) representatives has successfully established studies on HIV interaction at the mucosa. These studies will contribute to the development of a universal effective HIV Vaccine and ultimately tackle the questions related to the early stages of HIV acquisition/transmission and develop future prevention strategies. The inaugural University of Nairobi Research Week will be held from October 22nd to 26th, 2018. During the week, the University will host eleven International Conferences covering a broad range of disciplines. In addition, several workshops, seminars and exhibitions will be held. Details on each can be found on the Research Week website, https://uonresearch.org/research-week-2018/ . We invite you to submit abstracts to present papers at the conferences, and/or to participate in the other research week activities. Please visit the site regularly for updates, announcements and additional events. Every year on 18th May, the world marks the HIV Vaccine Awareness Day (HVAD). It is a day set aside to raise awareness of the continuing efforts by scientists to develop a vaccine against HIV- the virus that causes AIDS. It is also a day to honour all those who, in one way or the other, have contributed towards this global effort. This year, KAVI-Institute of clinical research (KAVI-ICR) of the University of Nairobi commemorated the day in Nairobi at the Kangemi Health centre. The team from NCBS led by Lt. General Velu Nair, met the Vice-Chancellor, Prof. Peter Mbithi when they paid a courtesy call on him on March 21, 2018. The University of Nairobi’s KAVI-Institute of Clinical Research (KAVI-ICR) and the National Centre for Biological Sciences (NCBS), India, have established and initiated a collaboration to spearhead vaccine development through enhanced technology. According to the Director, KAVI-ICR, Prof. Omu Anzala, the partnership will see the team expand metagenomics sequencing from selected target groups in India and Africa and inform the newly emerging pathogens such as Chikungunya and Dengue in their virology, pathology, the point of care diagnostics and vaccine designs. Initiation of the Collaboration between NCBS (India) and KAVI-ICR (University Of Nairobi, Kenya) while training University of Nairobi staff on flow cytometry 19th to 23rd March 2018.